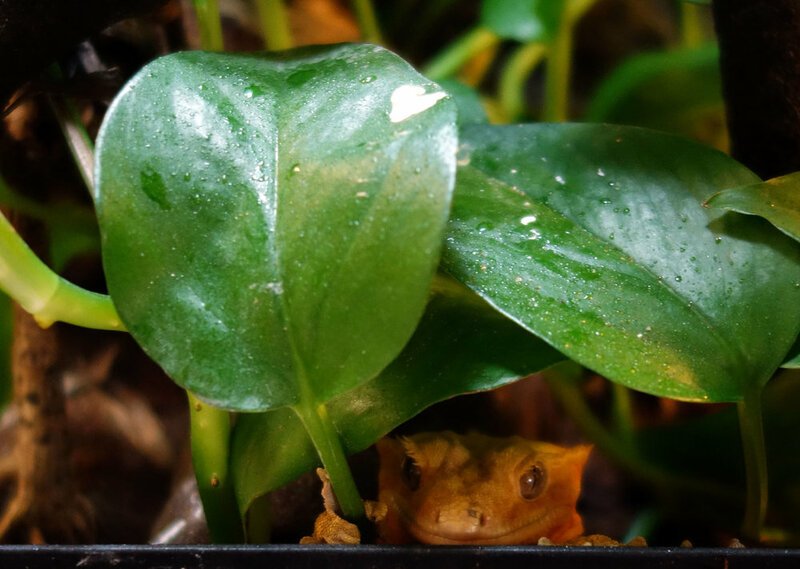 My crested gecko Lex and I wish you happy holidays! Her native environment is a tropical island, so I mist her at least twice a day. She doesn't enjoy being directly sprayed in the face, though, so using a pothos leaf as an umbrella is a far preferable option.